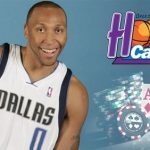 Shawn Marion is in Manila to help out with the anti-bullying & anti-hazing campaigns, & help create some money for the Yolanda relief funds. 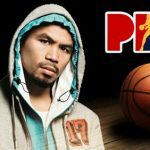 Manny Pacquiao is a professional basketball player. He's also the head coach of the team that drafted him in the PBA. Manny Pacquiao is a man of many hats, but nobody expected his latest one to read "basketball head coach."